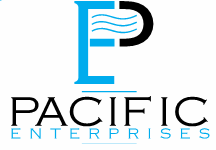 Specialising in medium-density living, Queensland-owned and operated Pacific Enterprises Group have built a solid portfolio of domestic and international developments over the past 15 years. In the Brisbane area, we have recently completed several medium density projects in south-side suburbs Calamvale, Carindale, Doolandella and Eight Mile Plains. QUEENSLAND’S #1 BUILDER AND #10 NATION WIDE! Established in 1996, Impact Homes is one of the most respected and competitively priced suppliers of residential land and house packages along Australia’s Eastern Seaboard. We offer a full range of design, build and maintenance services to meet the growing needs of real estate investors. We continue to add the services necessary to provide trusted real estate solutions.